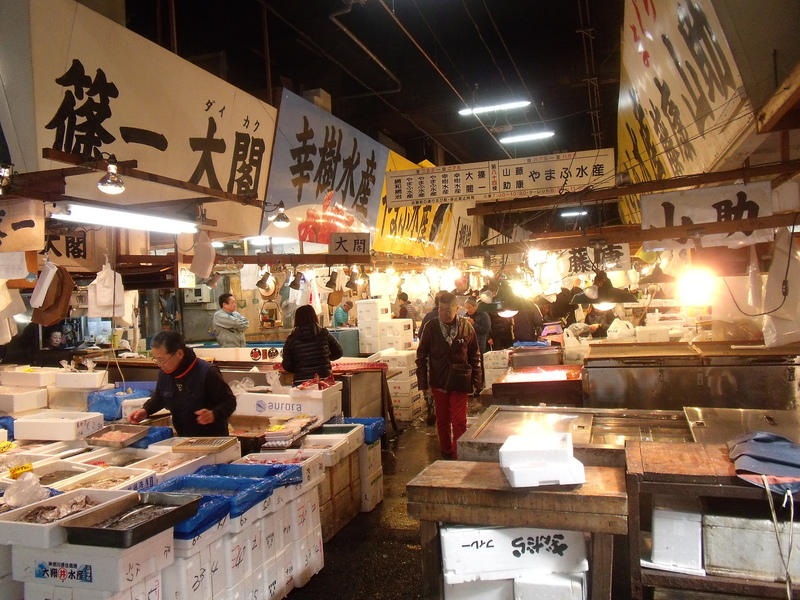 On the third day in Tokyo, I started the day with a visit to the famous wholesale fish market at Tsukiji in the morning. Tsukiji Market does have a timing when you can see how the locals have their fishes auctioned. If I am not wrong, its around 5am. From what I remember, the subway will only start operating at 5am, so your only way is either booked a hotel near the market or get a taxi. Honestly, I don’t think there is anything special about it so I reached the area at around 8am. Most of the market facilities are already closing. Most of the big fishes that were said to be seen here were already all gone. I had sushi at one of the restaurant outside the market. I tried 2 salmon and 1 tuna sushi. I wanted to order another Unagi sushi but it will be funny as they serve in a plate, imagine only one sushi on a long plate. Anyway, 1 sushi is ~ 100yen. So its quite expensive for breakfast if I were to order more than 3. After that, I walked to Ginza using the google map’s offline GPS. 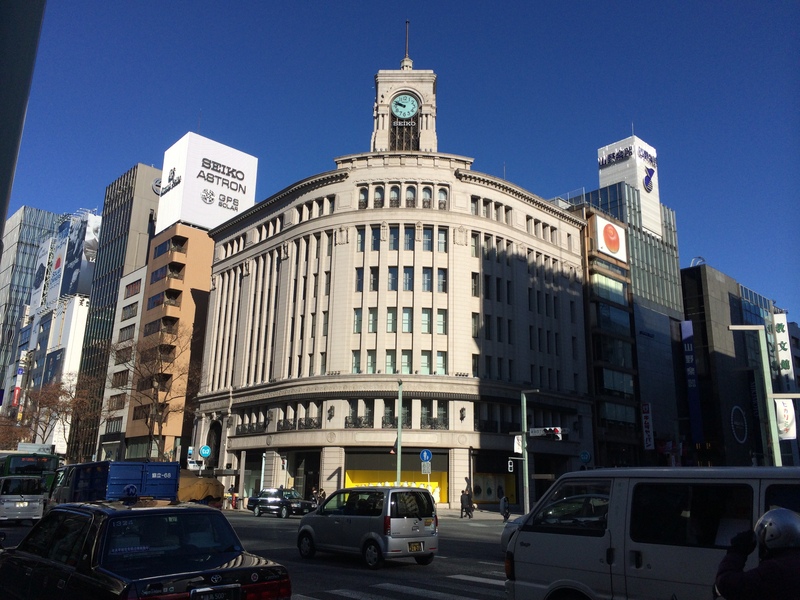 Ginza and Tsukiji is pretty close to each other, it is unnecessary to take the train. 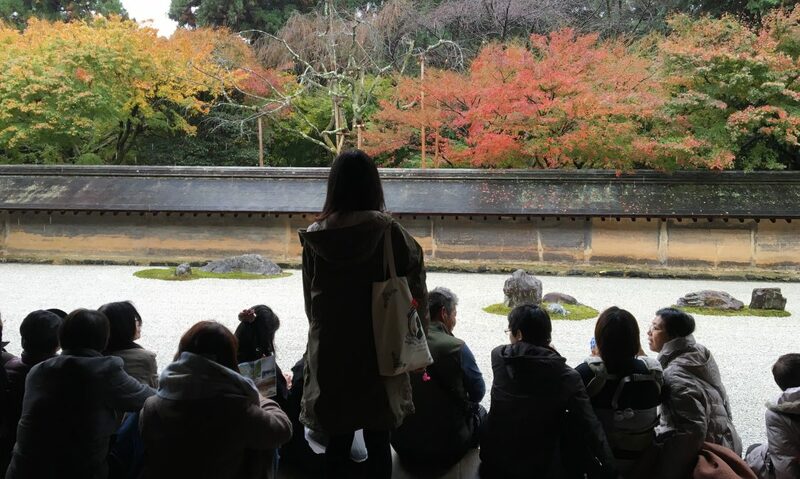 You can save up ~ 150yen by just walking. My first stop was to look at the wako building. There were a lot of remarks of visiting it when you are at Ginza, but I have no time to really visit it so I just took a picture of it. 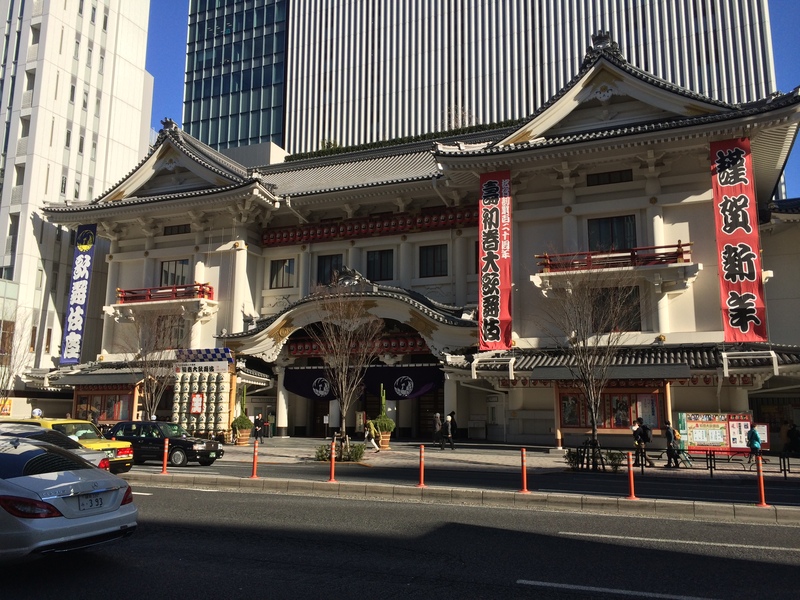 I went over to Kabuki-za theater after that. Its a short stretch from Wako anyway. 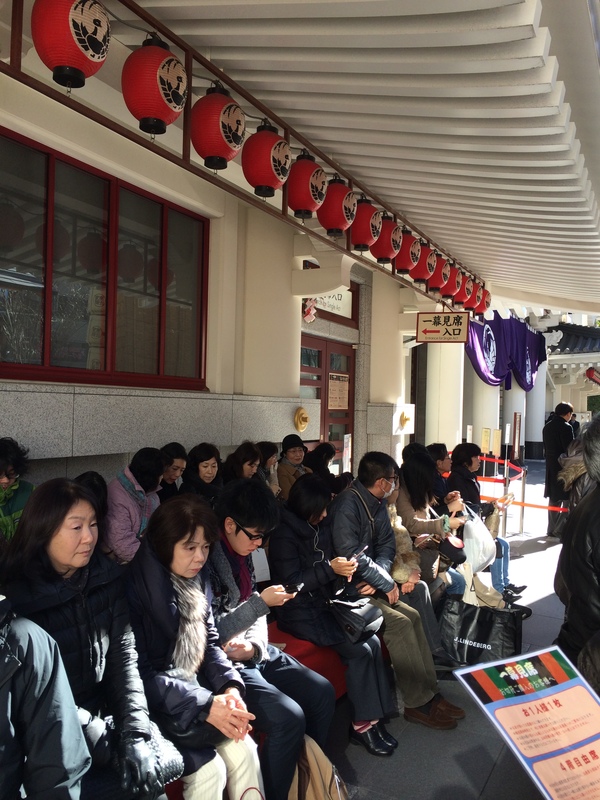 It was only 10am and there was a long queue of approximately 30 people already. If you didn’t want to watch the whole act, you can actually get a single act ticket like what I did. Just be early as tickets maybe sold out if its a popular show. Ticket sale will only begin at 10.30am and the price may vary from 1000 yen to 1500 yen depending on the length of the show. 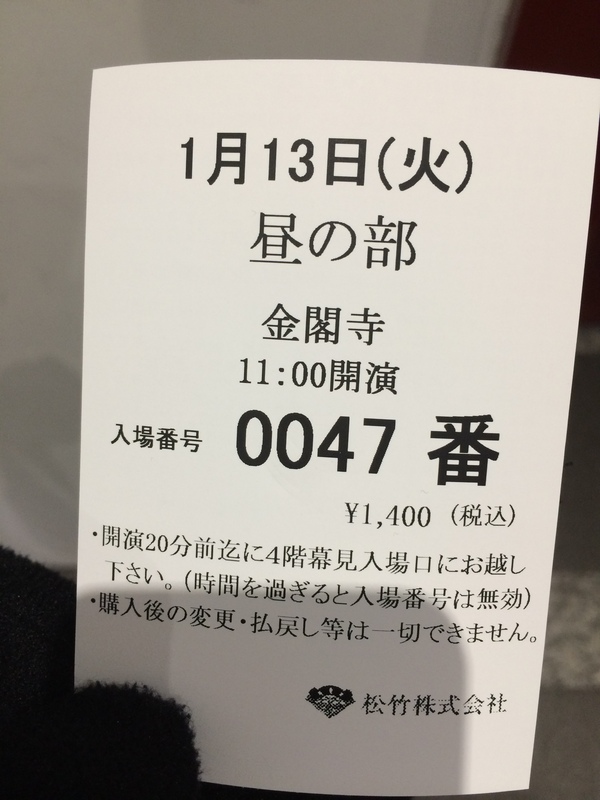 If you are not sure if you will like the show, probably try go for an hour show but you have to go for the second act which only happen after 1pm. 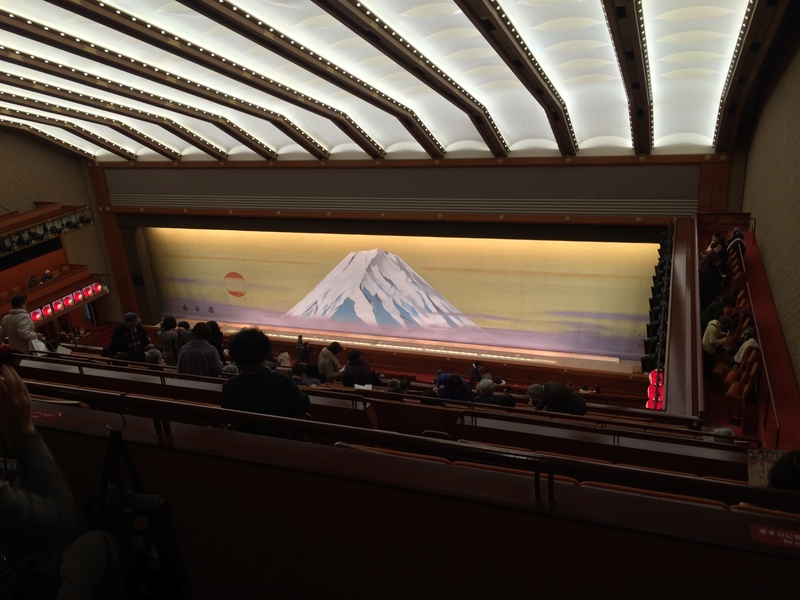 I am sat at 4th level of the theater. Can’t really say I can’t see, I am able to see their actions but not the expression. But if you are not into expression, I guess you can try to listen to how they act through their voices. 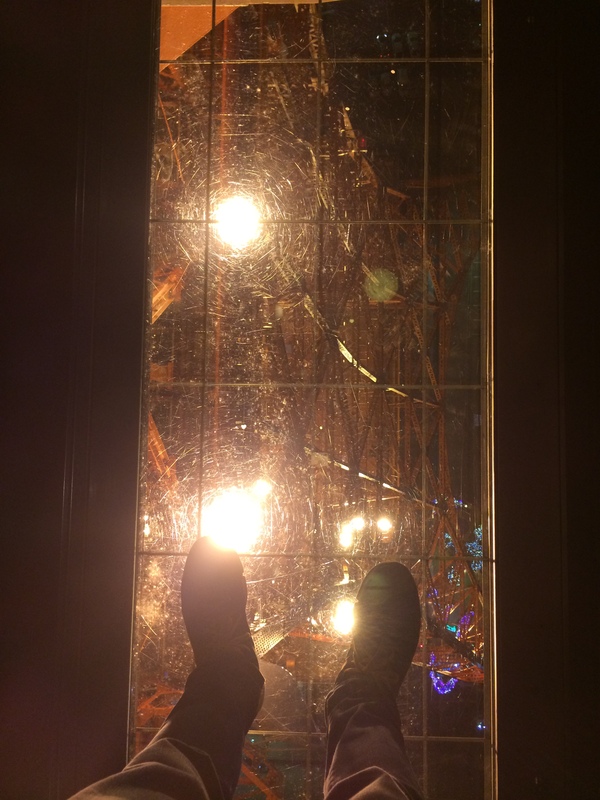 Even though I don’t understand what was happening and most of the portion I fell asleep (as it was going really slowly), I thought it was kind of interesting. This is one of the culture from Japan that you can’t find anywhere in Singapore. I had Katsu don at one of the shop houses beside the theater. This Katsu don was softer than the one I tried on my first day at Shinjuku. So I thought probably the one in Shinjuku, they didn’t make it well for me. Lol. Anyway, I went straight to Ryogoku station for SUMO MATCH! This is the main event of the whole trip as I have not seen anyone of my friends that went to Japan actually been to a Sumo match. No idea why and Sumo is actually the top listed by almost everyone who visit Japan. 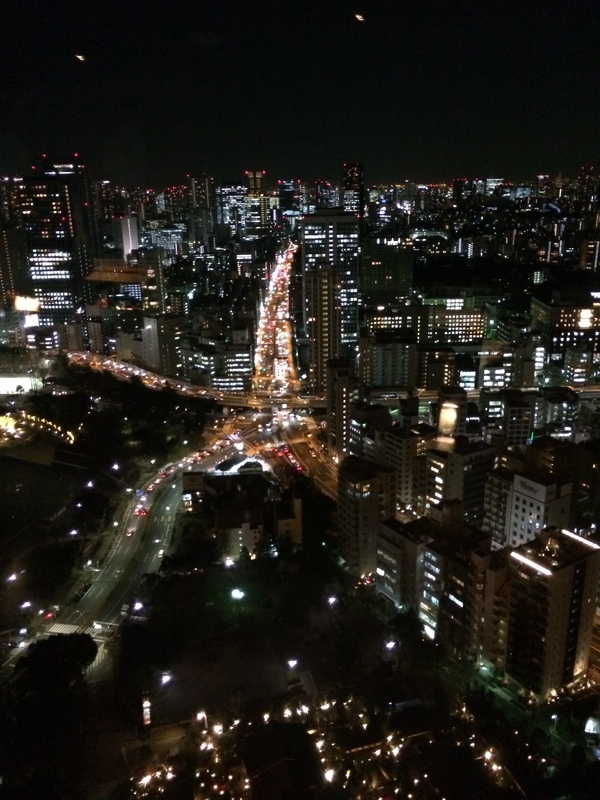 Ryogoku Kokugikan is not exactly outside the station. Unless you are taking the JR line. For subway, you would have to walk a distance. The stadium is obvious. It looks like our indoor stadium but much bigger. Anyway, the sumo matches were AWESOME!!! I wanted to stay throughout but it was quite repetitive over time and especially when you have no idea who they are. 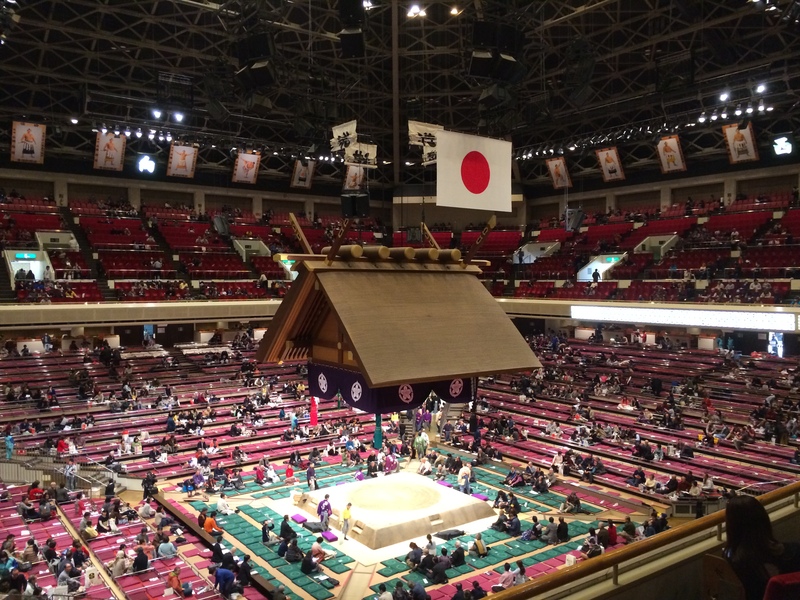 If you are interested in going for a Sumo match, it happens 4 times each year at Tokyo and Osaka. From what I remember, its January, September, the other 2 I can’t really remember. Should be on May or November. If you are interested, do visit facebook page, buysumotickets.com for more information. My advise is not to get the first level seats as there isn’t any back rest for you, so it will be pretty tiring if you plan to stay there for a long period of hours. 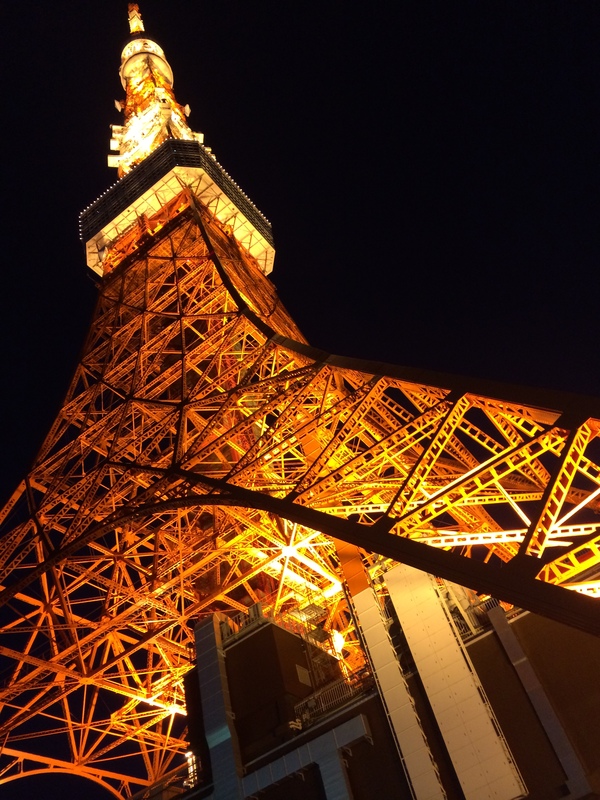 After that, I head straight down to Tokyo tower for sky view. I was lucky enough to get to see a Japanese rising performer perform her song. They do have artist coming in every Tuesday and Wednesday from 7pm onwards to 8pm. Do take note that their interviews that about 15minutes so if you don’t understand Japanese, you will have to withstand these long 15 minutes. I was in a mad rush after that as I wanted to get a bento from Isetan. When I reached Isetan, it was already 8.10pm and the shops were already closed. So I had to walk all the way back to Kabukicho area where there is a Mcdonald’s for me to take away a meal back hotel.